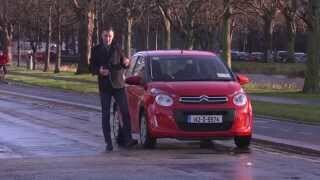 Citroen introduced its all new Citroen C1 2015 at the 2014 Geneva Motor Show. For those who have cars in their hobby list are well aware about this bestseller but hearing it from company this 3-door and five-door version model is a bit ahead of its predecessors, especially its open-top body style, what they call as Airspace. Let us have a closer look to what makes company’s expectations raise high with this all new Citroen C1 2015. Interior of Citroen C1 2015 brings more useful technology with it’s with additional comfort for better day to day driving experience. 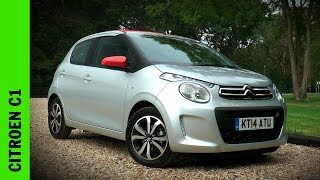 Citroen C1 2015 comes with a 7” touchscreen and Mirror Screen technology that copies and run smartphone apps. As an option with Citroen C1 2015 you get hands-free entry and drive. Center-console and gear lever surround gets color-coded trim while the striped seat upholstery gets the option of getting dipped in your flavor. In all the interior of Citroen C1 2015 is created keeping light mood and cheery arena in mind, which we believe is kind-of basic requirement when you look for a car that fulfils your day to day needs. Exterior of Citroen C1 2015 to an extent holds its roots in the newly released C4 Cactus, especially with the split headlight theme. Front fascia no doubt looks attractive with vertical LED lights that come integrated in front bumper. Beneath the –razor-design’ grille is a massive air vents to supply fresh air till its engine. Back of the rear view mirror and roof gets the matching color contrast which turns to be a treat for eyes. Moving towards the rear fascia of Citroen C1 2015 you have blackened rear glass with taillights mounted on each side of it. Beneath them is a near arena with no work done over apart from the number-plate space. To us the lower rear portion looked slightly raised and being loyal it worked well with its removable roof feature. 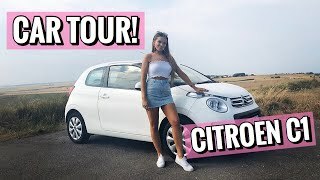 Citroen C1 2015 offers its buyers powertrain options through two engine variants; a 1.0 Liter three-cylinder VTi engine delivering 69 hp of total power and second is the top in range 1.2 Liter three-cylinder PureTech engine delivering 82 hp. 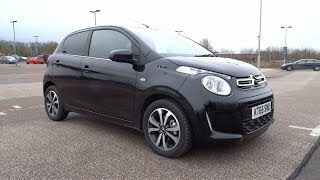 Weighing just 860 KG Citroen C1 2015 has this power enough to make you feel the ‘shake’ and the same attributes to the more hammer over the streets. 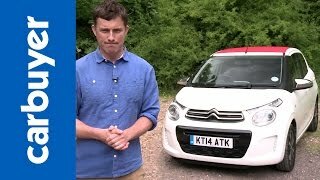 Not much has been shared by company in this segment but one thing's for sure Citroen C1 2015 will be a fuel efficient model with these unique features that you will definitely love to take a ride upon.